Ken was born in Hobbs, New Mexico, on July 23, 1960, to Chester and Frances McClure and died on September 17, 2015, after a battle with cancer. Ken was a member of the Radio Amateurs of Cass County. Ken grew up in Atlanta, Texas, and was an avid supporter of the Atlanta Rabbits, Texas Rangers and Dallas Cowboys. 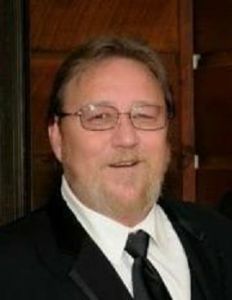 He loved spending time as a ham radio operator, flying planes, riding motorcycles, and most of all, enjoying his family. Ken was the Owner of The Vapin Place, a member of First Baptist Church – Atlanta, and a proud member of the Patriot Guard.